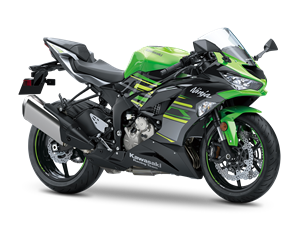 Kawasaki Motors UK will be hosting the ‘Ultimate Ninja Experience’ for participants to try out the new Ninja ZX-6R and receive coaching from Kawasaki special guests including Leon Haslam, Chris Walker and Glenn Irwin. Taking place across the UK at iconic circuits between April and September this year, the Ultimate Ninja Experience will offer customers the chance to put the middleweight Ninja ZX-6R through its paces in a controlled environment and pick up some expert tuition along the way. In addition, customers who attend the events will receive a Ninja ZX-6R voucher* valued at the cost of the Ultimate Ninja Experience, which they can put towards the purchase of their new Ninja ZX-6R! In simple terms, if you attend and go on to buy a new Ninja ZX-6R, your Ultimate Ninja Experience is FREE! The Ultimate Ninja Experience events are open to the public with bookings made through No Limits Track Days - spaces are limited. *Terms and Conditions for Voucher - valid for 3 months from date of track day. Valid for the purchase of one new Ninja ZX-6R only and cannot be used in conjunction with any other offer. Discount value is the same value of the Ultimate Ninja Experience ticket and does not include any other costs incurred to attend the event. Valid for the named rider and cannot be transferred to persons who did not take part in the Ultimate Ninja Experience.